New site, new features, and a FREE contest! You might have noticed we recently completed a long overdue renovation of webthrowdown.com. You might have also noticed that thanks to you, we’ve amassed almost 800 different throwdowns in about a year’s time. 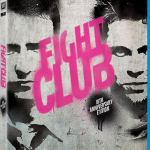 How about a Bluray 10th anniversary edition of FIGHT CLUB, starring EDWARD NORTON and BRAD PITT. What’s that, you say? 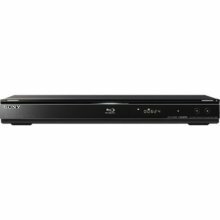 You don’t have a Blu-ray player yet? Now you do. We’ll throw in a Sony Blu-ray player with an HDMI cable so you can see the original throwdown fights as they were meant to be seen – in pure, glorious, bloody HD. There is no purchase required. In fact, we don’t sell anything anyway. You are automatically entered in the contest when you reach 250 points. There is no limit to the number of entries you can have. You have to be a US resident to win, and at least 18 years of age. We know, we know…but our lawyers made us say this. Oh yeah, you have to be LOGGED IN to earn the points – otherwise we don’t know who you are. So how do you get 250 points? All you have to do to get started is to login with your facebook account. That’s 100 points right there! Because remember, we have to know who you are in order to start giving you points. What’s the easiest way to earn points? Create an account by logging in with facebook the first time. (If you don’t have a facebook, that’s cool, just go here and login/create a throwdown account.) That’s worth 100 starter points. If you feel like it, create a throwdown and earn 20 points. But the easiest way to get started earning points FAST is to copy and paste your personalized recommend link at the bottom of each throwdown. Put it on your blog, facebook, twitter, email, IM, whatever. And each time someone clicks that link, you get 5 points. Just 20 clicks means 100 points! For doing absolutely nothing. How will you notify me if I win? What happens to the points after the contest is over? Everyone’s points will get reset. We do this in preparation for the next contest. There’s going to be another contest? Hell yeah! We love giving away free stuff in exchange for your creative throwdown matchups and comments! Make sure you favorite/like us on facebook, and start spreading your customized recommend link around. The more points you get, the better chance you have of winning. Guess who will be coming down your chimney this year? The winner of the Bluray player & Fight Club! Is the image upload broken? nice giveaway, Fightclub is on my top 10 of all time list. I’d love to upgrade to Blu! Sweet! So far I’m entered 5x! you won’t because I will. HA! CRAP! I wasn’t logged in when I posted that. FAIL. wtf. how does someone get 3000 points. wow.